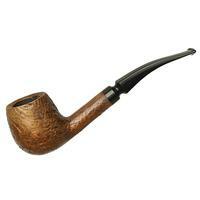 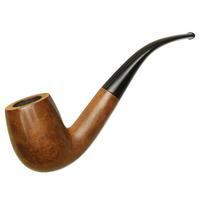 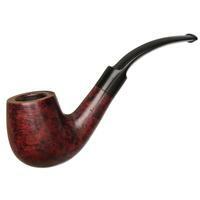 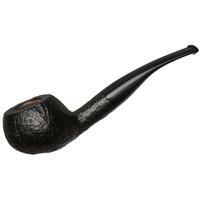 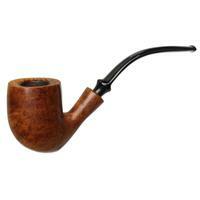 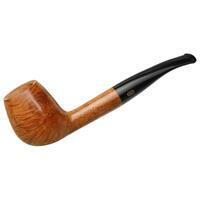 This bent Billiard from Alpha Rex houses a fairly generous chamber and has a flattened base allowing it to sit easily. 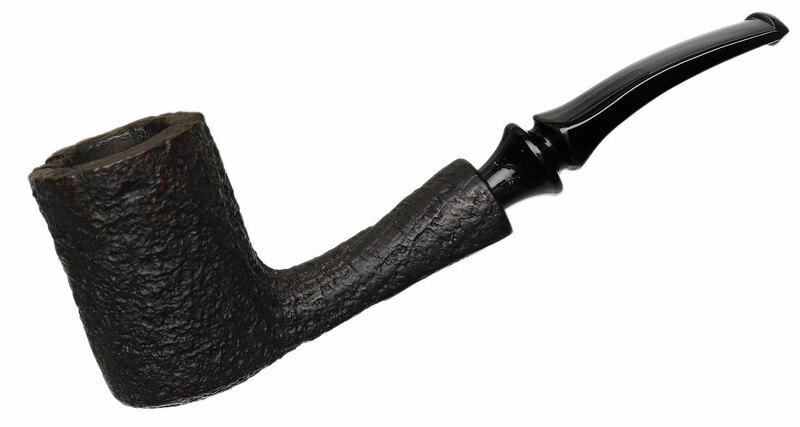 Finished in a dark sandblast with some well-textured grain, the dark palette of the stummel is complemented by its jet-black acrylic mouthpiece. 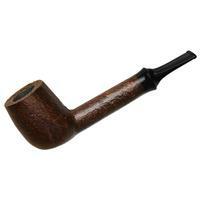 There is some mild chamber carbonizing, but otherwise this one is in great condition.